Hello again! It is the second day of my Vegan diet, and I woke up super hungry this morning. It was my fault though. Before going to bed I nibbled on some mixed nuts and dried fruit as a snack, but when I woke up this morning with a grumbling tummy, I had realized I had not eaten enough before going to bed. The one thing about this diet is that I am constantly eating! I thought I ate a lot in general, but I am always snacking on things, because the food doesn’t tie me over, unlike heavy breads and meats, where I could be full for a whole day. My blood sugar also has a tendency to drop really low when I am hungry, and its never fun, and since I am eating foods that my body burns up so quickly, I have to eat every few hours. I also wanted to clarify the Wheat-Free part of this diet. I am not going to be extreme to the point where I will not eat anything that might have a trace of wheat in it. I am not allergic to wheat, but I know that a diet without the hearty stuff like white flour pasta, bread, pizza, etc., is better for you and that is what I am trying to stay clear of. In the food that I ate today, I did have soy-sauce, which can contain wheat unless you get the wheat-free kind. When I came down to the kitchen this morning I wanted something for breakfast that was sweet and not savory like I had yesterday. So I had oatmeal!! 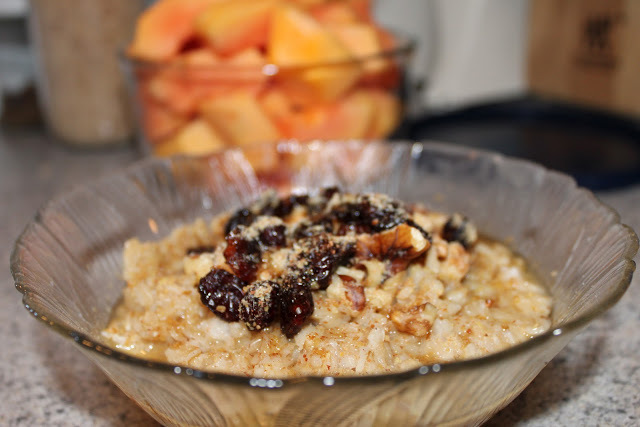 I added all kinds of fun stuff to it, to make this heart healthy and high fiber cereal even healthier. I know I don’t have a picture of the Papaya, but you can see it in the background in the picture above. Breakfast tied me over for quite a while since it was one of the ‘heavier’ meals I have eaten so far, so I had lunch a little late in the day. I decided to make some tofu to accompany my mother’s sushi rolls that she was making. I am a huge fan of tofu, and I love trying new recipes with it. I decided to make it with nutritional yeast, since I had not done that in a while, and I added a few different ingredients to my old recipe (of nutritional yeast and soy-sauce). 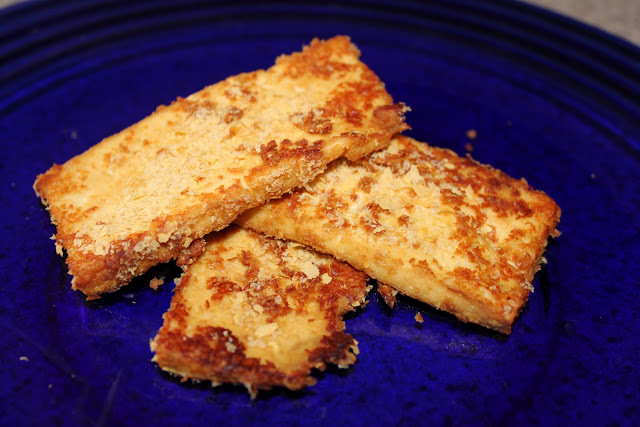 I know my old recipe is super complex, but I also used to fry the tofu, and this time I am baking it. 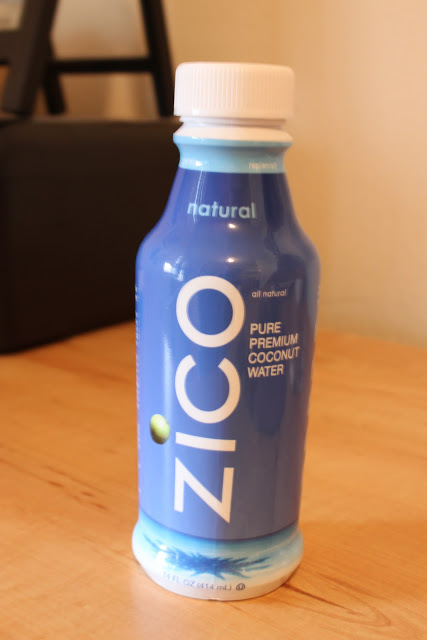 The coconut water is awesome! I am a huge fan of anything made out of coconut; coconut ice cream, coconut milk, coconut butter, coconut water, and fresh coconut! The list goes on. However, coconut has a lot of fat in it, good fat, but fat nonetheless. Just be careful how much you consume of it! Dinner was a bit of a challenge in some ways. I went out to a restaurant on a double date with my boyfriend and some friends. This is the first time I have eaten out on this new diet (of only a day and a half, I know), so I had to be really conscious about all of the ingredients in the food. To my surprise when I got to the restaurant, I had a plethora of vegan choices. We went to Tamari, a restaurant inspired by a fusion of Asian and Latin-American cuisine. I added the website for the restaurant below. Eating here was a challenge because I LOVE SUSHI. 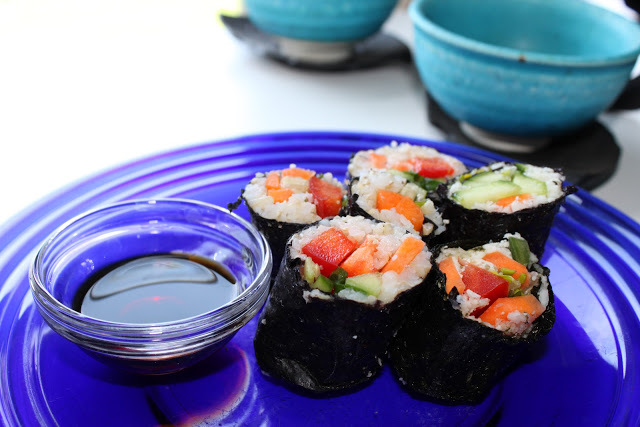 However, the restaurant seemed to know that I was coming, because they had a vegan sushi roll on the menu! Everything was great, including the company. It wasn’t that difficult to stick to a vegan diet, even when I went out for a night on the town. I am not going to go into a lot of detail about the restaurant, its decor, style, etc. After all, I am not blogging about restaurants in the Burgh. Sorry I don’t have any pictures of my meal to post, but you can see what I got for yourself if you happen to dine at this restaurant!